Prayer in public schools is a hotly debated topic today, but it’s nothing new. The idea was thoroughly debated, and to an extent settled, with a Supreme Court ruling that took place in 1962. The case, named Engel v. Vitale, ultimately helped to rule that prayer in a public school was unconstitutional. The schoolboard argued that this text affirmed no particular religious belief, only a spiritual one. Through a lengthy history of the issues surrounding the separation of church and state, including a dive into 16th century British history, the court concluded 6-1 that such prayers were unconstitutional. The very act of the text being a prayer violated the Establishment Clause of the First Amendment, which stated that “Congress shall make no law respecting an establishment of religion.” The court further ruled that promotion was a form of coercion. Though students were not required to participate, the very act of prayer being around them constituted a form of coercion into believing in religion at all. This complicated ruling has repercussions still felt today, and America has historically had deep religious ties within its culture. It’s likely that this issue will continue to be debated for some time, but the courts have made a definitive ruling in the past. Spending time with your children is one of the precious perks of being a parent. But how do you share your passion for philanthropy with them without being to pushy? Here are some quick tips to help guide you. 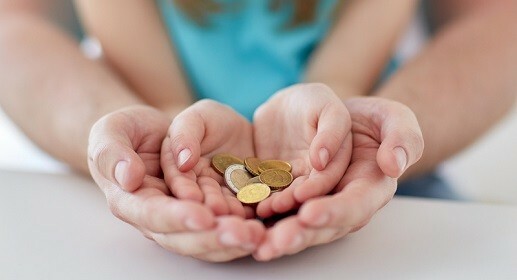 Speak with your children about what type of charities they are interested in. If they don’t know, break down examples of what they do and how you can help them. Then give them a chance to choose which one they like the best. By involving your children’s interests, it’ll help them develop a personal connection with whom they are actively helping. Supporting children’s charities is a good way for your kids to bond through creative events like painting or sports. Working with a charity can be harder for the parents that work long hours. Scheduling some free time out of your busy schedule to work with your kids and a charity is not only going to bring you closer, but you’re also partaking in performing good deeds for the world. Children follow examples and mold themselves around their parental figures. Show your kids your conviction by leading through example. If you happen to stop by a charity organization, have them speak to your children about how they can make the world a better place just by simply donating or volunteering. Hearing it from a trusted figure could help strike a chord within them. Bio: Ferhan Patel was born and raised in Canada and calls Montreal, Quebec, his home. In 2003, he received a Bachelor of Computer Science, Information Systems from Concordia University. He currently works for Payza, an international payment processor as the Director of Global Risk and Compliance. Anger over the Stamp Act fueled aggression toward England that took violent forms. The Sons of Liberty, which grew out of New York and the other original American colonies, would eventually partake in the Boston Tea Party. This was part of a long set of skirmishes that were occurring in the region that eventually led to a harsh response from England. That harsh response included what Americans call “The Intolerable Acts,” which essentially neutered the Massachusetts government’s ability to self-rule. The American response was the Stamp Act Congress, which was the first recorded gathering of elected representatives in the region. The goal was simple: protest England and its outrageous demands. The foundations of the American Revolutionary War were set in New York City during the year 1765. New York was a hotly contested area during the Revolutionary War. General George Washington was present at the Battle of Long Island, which was the first major conflict after the Americans declared Independence on July 4, 1776. It was also one of the largest battles of the entire war, and one that General Washington lost. The Americans gave control of New York to the British shortly after, which they held for the entire war. The city became a haven for British loyalists, which made it an excellent target for General Washington’s espionage efforts. 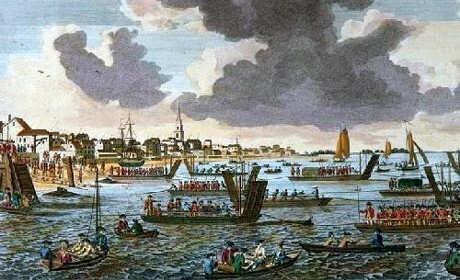 The British targeted spies, suspected or otherwise, and held them in brigs offshore. It’s said that more Americans died on these ships thanks to neglect than were lost in every battle fought in the war. The British were finally driven off in November of 1783, when General Washington returned to the site he’d once fled. At-risk children thrive from attending a therapeutic boot camp. These camps can be structured in several different ways. Some of them are wilderness-based boot camps where juveniles go out outdoors expeditions and adventures as a way to connect with other people and with nature. Parents can also choose to send their kids to military boot camp for teenagers, which are structured more like military boot camps and are meant to drive home the concepts of personal responsibility and community. Children in boot camp programmed said that they feel more positive about their surroundings than those in traditional juvenile corrections programs. Boot camp residents did not feel like they were in danger while attending the camp. Instead, they were more likely to feel that they were in an environment where they could grow and flourish. Similarly, boot camp staff members were more likely to say that they were working in caring and nurturing environment than staff in traditional juvenile detention facilities. They also reported that it was a more just environment that was also safe. Juvenile boot camp participants were more physically active and left camp in better condition than regular juvenile detention facility participants. One of the key tenets of boot camps is that the rigors of physical activity can help to hone a person’s mind as well as their body and that a person needs to be disciplined in all aspects of their lives in order to succeed. Most importantly, boot camps were shown to be more effective in impacting the behaviors of at-risk youths than regular juvenile facilities. Subjects in the study who attended juvenile boot camps were better prepared for life back in the “real world” than their counterparts in juvenile detention. A large reason for this is that juvenile boot camps gave attendees more therapeutic programming to help them remain focused and under control after leaving the camp. Much of this has to do with the additional structure and control that comes from a boot camp environment. Instead of having kids essentially be on their own and spending most of their time doing whatever they want — or nothing — juveniles at boot camps are forced to engage in routine activities or else face punishment. Over time, engaging in these activities helps kids to understand the value of connecting with others and how applying discipline to their lives can help them in the long run. Wood Creek Academy is a therapeutic boarding school located in rural Montana. Designed for young men ages 13 to 18, the program fosters teamwork and responsibility in an outdoor environment. If you’re thinking about attending makeup artistry school, there’s a lot to learn. The first thing you will discover is that there are many different fields of makeup artistry, and while they share the basics, each field has its own techniques and methods. So how do you know which program is right for you? Learning more about the various fields will help you find one that’s right for you. Here are three exciting makeup artistry programs that might spark your interest. If you’ve ever wanted to work as a makeup artist for special events such as weddings and parties, this program is for you. Learning how to do beauty makeup involves mastering the fundamentals of makeup as well as learning specific techniques for bridal and glamour makeup. You can work for studios or as a freelance artist on your own. You might also get to learn airbrushing techniques, body art, and hairstyling. The fashion industry needs makeup artists who are trained in fashion makeup artistry. If you’ve always wanted to work with photographers, models, and the rest of the fashion industry team, enrolling in a fashion program will provide you with the skills and portfolio you need to land that job. Whether you work in film, TV, or theatre, special effects makeup artistry is an exciting field that involves the construction and application of prosthetic applications. Students get to learn everything from creating realistic characters to creature design such as monsters and zombies. Cosmix School of Makeup Artistry is a leading make up school located in South Florida. The school offers programs in fashion, beauty, and special effects makeup. Homeworks could be beneficial for teenagers in several ways. Apart from the fact that they help teenagers to learn their school lessons and particular topics, they also improve the organizational and time management skills. On your side, there are several ways in which you might bring your guidance. The ideal time for doing homework would be after school hours. Parents might be around teenagers at that time and be able to supervise their work and provide guidance when needed. As a parent, you might help them by splitting the time attributed to homeworks in quarter hour sessions by giving them small breaks every once in a while and allowing them to stretch. The right environment conducive to concentration would have to be calm with minimal distraction and be well spaced and aerated. You can assist your teenagers by helping them split their projects and assignments into manageable parts so that the workload do not overwhelm them. A project timeline can also be planned to set out targets. A positive attitude towards the work is one of the most important aspect in helping them concentrate and learn. When individuals regard their homework as something negative, the assimilation would be difficult. In case the teenager has a negative attitude, therapeutic boarding schools can be considered. These schools propose programs for troubled youth that might bring them to academic success. Wood Creek Academy is a therapeutic boarding school located in Western Montana. They offer boot camp for teenagers. 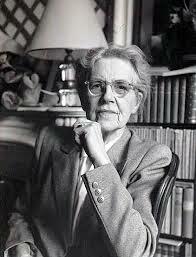 As a young girl, Nadia Boulanger had a strong distaste for music. Both of her parents were musicians, so she was surrounded by endless practicing that must have felt stifling at times for a young girl unable to reproduce the same kinds of music. When her mother, Raissa, became pregnant with what was to be Nadia’s sister, something inside the girl changed. She described a vivid moment from her past where she’d heard a fire bell and dashed toward the nearest piano to try and reproduce the music within the sound. Her parents began encouraging her and she paid close attention to every lesson. She was a competitive player growing up, and took lessons from Louis Vierne and Alexandre Guilmant. By 1904, she was a full-fledged musician and a private instructor out of her apartment. In many ways she’d followed in her father’s footsteps. He’d studied at the Paris Conservatoire and had won the Prix de Rome for musical composition. Her first submission failed entirely, her second made it to the finals but did not win. She entered nearly every year since, and failed every year after. Her efforts, however, inspired her young sister Lili to try. Lili died young, but Boulanger carried her legacy to America. Although she had resolved that her talents were not in composition, she dedicated her life to teaching. In that capacity, she influenced the likes of Aaron Copland, Quincy Jones, Elliott Carter and Phillip Glass, among others. In many ways, it is thanks to Nadia Boulanger that we have many of the modern musical minds we sometimes take for granted. Are you thinking about pursuing a career in makeup artistry? If so, it’s time to think about the type of school that will help you reach your career goals. From beauty schools to cosmetology schools, there are many different types of institutions that offer makeup training. However, one of the best routes to becoming a successful makeup artist is to attend a school of makeup artistry. Not sure whether it’s right for you? Here are the top three reasons to attend one of the leading schools for makeup artistry. You want a well-rounded education. Searching for training in all areas of makeup? Tired of makeup schools that require other courses? A school of makeup artistry is completely dedicated to the art of makeup. Unlike beauty and cosmetology schools, a school of makeup artistry won’t make you take courses in fields that you’re not interested in. For example, Cosmix School of Makeup Artistry provides comprehensive programs in production, fashion, and special effects makeup, allowing the artist to receive training in one or all three areas of makeup. Most students choose to receive a well-rounded education so that they can have more opportunities after graduation. You want to get specialty training. Are you a makeup artist who wants more training? Another reason you might want to attend a school of makeup artistry is if you’re already a makeup artist who wants additional training in a focused area, such as production, fashion, or special effects makeup artistry. Some makeup artists choose to get additional training in order to boost their careers or enter a different industry. For example, a makeup artist who has worked in film and TV and take courses in fashion makeup artistry so that he or she can pursue a makeup career in fashion. The right school of makeup artistry will provide you with the additional, focused training you need without making you take other courses. You want to produce a great portfolio. To get work as a makeup artist, you need a great portfolio, a body of work you can show to potential clients. But it’s hard to create a portfolio if you’re not already working in your field. That’s why many students attend schools of makeup artistry, where they can receive not only the makeup training they need, but also produce a powerful portfolio. While it’s possible to create a portfolio outside of school, you won’t receive professional feedback and guidance. After graduating from the school of your choice, a great portfolio will help you land the jobs that you need and want. Cosmix School of Makeup Artistry is a licensed and accredited school of makeup artistry located in South Florida, offering makeup courses in fashion, production, and special effects makeup. Is your teenage son struggling with drug abuse or low self-esteem? Is your son unmotivated or getting bad grades? While many young boys go through difficulties during their teenage years, some cases require professional help. Whether your son is struggling with substance abuse or showing signs of abnormal behavior, you might want to consider sending him to a boarding school for troubled boys. But not every boarding school offers the programs that are right for your child. Here’s a look at how to find the right boarding school for your son. There are many different kinds of boarding schools, from boot camps to residential treatment centers. The key is to find a school that addresses your son’s needs as well as your lifestyle. For example, some programs are short-term and only focus on the physical side of an addiction. What happens after your son comes home? If your son is dealing with substance abuse, it’s better to send him to a long-term therapy program that deals with his physical and mental issues. A longer program is better suited for boys who are dealing with alcohol or drug abuse. Another factor that is important to consider when researching boarding schools is religion. If your family practices a certain religion, you might want to find a therapeutic boarding school that teaches the same religious principles. For example, if you are a Christian, you can send your son to one of the leading Christian boarding schools for boys. On the other hand, sending your child to a Christian boarding school when you don’t believe in Christianity is not a good idea. Just as there are different boarding schools, there are also different therapy techniques used by boarding schools. It’s important to research various therapy techniques to find a school that uses the techniques you’re comfortable with. Some schools use a 12-step program while others practice other programs. Learn about the techniques and ask about their teachers. In addition to the type of boarding school and therapy technique, it’s also important to check the school’s diet and exercise program. A school that doesn’t provide nutritious meals or an exercise routine shouldn’t be on your list. While your son is going through this difficult but important time in his life, it’s important for him to have the right kind of energy and support. A healthy diet and regular exercise are both important for the healing and recovery process. Wood Creek Academy is a therapeutic boarding school for boys located in Western Montana. The school offers wilderness therapy programs for boys struggling with drug use, alcohol use, low self-esteem, lack of motivation, and poor academic performance. Whenever you decide to settle down and put in some roots, you will find that one of the more important considerations you need to take into account is the quality of education in your area. Being adults, you can always find a job wherever it is that you go. But for your children,the education that they receive will determine what they will become in the future. So before you go search for home sale Virginia or some Chesterfield homes, you will find that the best high schools in Virginia are Thomas Jefferson High School for Science and Technology in Alexandria, George Mason High School in Falls Church, as well as James Madison High School in Vienna. These are the schools that you would want your children to study in, and that’s primarily because their educational programs are very strong and sound which will ensure that they will get into good colleges the moment that they graduate. But of course, if you are looking at higher education, the University of Virginia, which is ranked twenty-third in national universities is just over an hour’s drive away from Richmond. That means that you are literally just one drive away from one of the best educational institutions that the United States of America has to offer. Now, if you’re looking to start a family here, it’s definitely going to be a good choice since the education of your children will be in good hands. Other than that, the quality of living here is also very good. Finding a Virignia realtor is not as hard as it may seem. People here are very friendly and would be more than willing to offer you the best choices. Getting enough sleep is important for effective studying and remembering. Be sure your child has an established bedtime at a reasonable time each night. 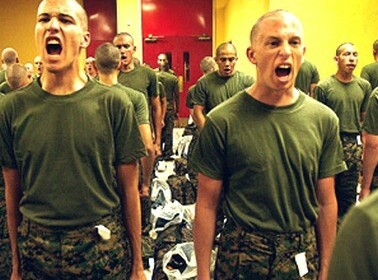 Should You Consider a Juvenile Boot Camp for Your Child?